Yes, I know. Sammie Coates has caught one ball in the NFL. His resume as a player is shorter Danny Woodhead standing in a sinkhole. You know what, I don’t care. I love this kid. The whole point of this series is to celebrate the character, the characters and the great players who have impressed me as men. Sammie is a man of character. Week 8 in the NFL started with a disappointment and more than a few conundrums. Naturally Sunday’s game vs. the Chiefs didn’t end the way Steeler Nation hoped. But this is a more comfortable year to be in the AFC North than 2014. Last season at this point the Ravens were 5-2, with a 2-1 division record. The Bengals started out like gangbusters, winning their first three games, but after their Week 4 bye came back, lost two games, and tied the Panthers 37-37. They were 1-0 in the division, and 3-2-1 otherwise. Even the Browns were at .500, although they were 1-2 in the division. The first number, though, was a win against the Steelers, in embarrassing fashion (for the Steelers, that is). The Steelers were 4-3 at this point last season, but were 1-2 in the division. They lost to the Ravens as well as the Browns. And that was with Ben, Le’Veon Bell, Antonio Brown, and a kicker who during the course of the season made over 90% of his field goal attempts. The Steelers are also 4-3 this season, despite missing Bell for two games, Bryant for five, and Ben for four and a half. They could possibly have been 5-2 or even 6-1 with an ordinarily proficient kicker. They have only played one division game, although it was a frustrating loss, very possibly due to the lack of said ordinarily proficient kicker. These things make this season feel rather different, at least at this point. The Ravens are 1-6. Think about that for a minute. It’s really rare for a coach who has won a Super Bowl to have such a poor start to a season. It isn’t like he went somewhere else and tore apart a completely dysfunctional team. It’s one of the above-mentioned conundrums. The Browns, after a couple of surprises, are 2-5. There’s only one fly in this soothing ointment—those pesky Bengals. Here’s the AFC North record, which doesn’t look nearly as nice this week, alas. The Steelers lost ground on the Bengals, although the Browns and Ravens have thoughtfully continued to lose. How long before we start to worry about the Ravens getting the No. 1 pick? The Ravens actually overtook the Steelers this week, with a total of 161 points gained. The Steelers have 158, a number which I trust will go up sharply soon, and finally the Browns are bringing up the rear with 147. This week Hombre de Acero is unfortunately not among us. Not in the corporal sense, of course—he was never that. But he is on an extended business trip, which means, according to him, that something huge is about to happen in the Steelers universe. Because something huge ALWAYS happens in the Steelers universe while he’s gone. Let’s hope it is something good! (1) Ivan asks: Thirty nine years ago, the Steelers made the playoffs with a backup quarterback playing for much of the season. That year the formula for success was to rely on the defense and the running game which resulted in Franco Harris and Rocky Bleier each gained a 1,000 yards. 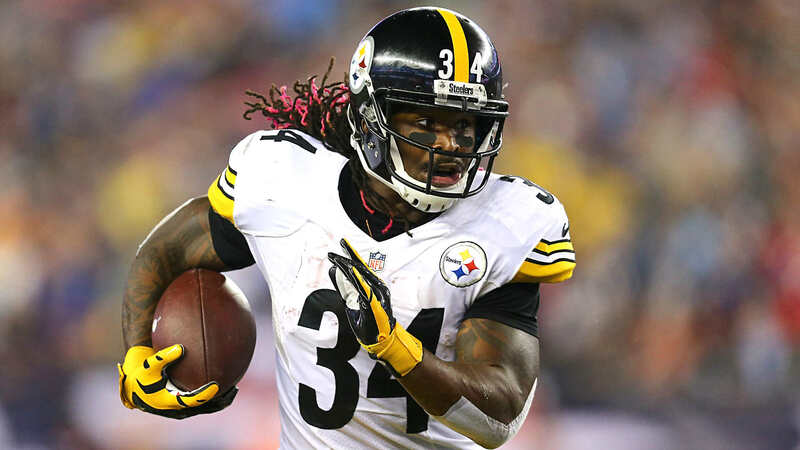 Even though Le’Veon Bell had a solid game on Sunday in Kansas City, would the Steelers have been better off leaning on him even more, depending upon him and DeAngelo Williams to carry the offense and bypassing Landry Jones? via athlonsports.com, from an article naming the ten best owners in sports. The Rooneys hold the No. 1 spot. The Chief would be proud. Recently Dan Rooney and his wife were honored by the United Way for their four decade involvement with the local United Way. You can read Teresa Varley’s article about it here. This got me to thinking about the many members of the Steelers organization who give back to their community. Generally I’ve focused these sorts of articles on players, and I will do that in later posts. But today I want to feature the founding member of the franchise. I started to write about the whole family, but there’s just too much to cover in a single article. And where better to begin than the founder? As much as I have tried, I can’t get totally bummed about this loss. A missed opportunity? Yes. A disaster? Hardly. Just a reminder of certain truths about the game. While the Steelers never led in this game, it never felt as if it was totally out of reach until quite near the end. Mike Tomlin says he chooses not to live in his fears. Sadly, Homer doesn’t have that luxury. With Roethlisberger and Vick out, and with the offensive line being a bit of a patchwork, my fears center around Landry Jones. Kansas City has a fierce outside pass rush, and I’m relatively confident that Alejandro Villanueva can do a decent job, but the big concern is whether Cody Wallace is able to hold the center of the line so that Jones is able to step up in the pocket when the rush comes from the outside. Also, the offensive line needs to establish a decent running game.